It’s always good to try something new! We’re delighted to be able to bring new treatments to Amara and are excited to announce that Coolsculpting® will be available from February! You may have heard the name as it is the number 1 fat freezing treatment in the world and has recently been bought by Allergan® the makers of Botox®! Coolsculpting® uses Cryolipolysis® to freeze fat cells and kill them meaning they cannot come back! Depending on where the Coolsculpting applicator has been placed 20 – 25% of fat cells will be reduced. Over the weeks your body will naturally process these cells leaving you more sculpted and contoured. How Does It Get Rid Of Fat? Coolsculpting® works by killing 20 – 25% of the fat cells where it is placed, it does not, however, affect your weight. The number of fat cells we have in our body is usually determined when we are in adolescence, over the years we don’t create new fat cells these fat cells just get larger as we gain weight. Coolsculpting® freezes the fat cells to -11o celsius killing the cells. Over the next 3-6 months, your body processes the dead cells out of your body leaving you more sculpted and slimmer looking. At your consultation with your doctor, they will go over all the aspects of the treatment and advise you on the treatment that would provide you best transformation based on what you care about. How many treatments are dependent completely on you as everyone’s makes up is different? The Coolsculpting applicator works by attaching itself to the fat pad that needs to be treated. We can only treat areas of fat that are pinchable and grabbable, however, the number of fat pads that can be treated will be different for every individual, for example, some could have 6 on their abdomen while others only have 2! Typically the areas with most individual treatments needed would be the stomach and flanks. During your Coolsculpting® treatment you will be relaxing while the machine does all the work, many people like to play on their phones, read or even nap during the treatment! Typically for the first 2 minutes of the treatment, you will feel intense cold in their area, followed by a stinging sensation for about 5 minutes and then numb for the rest of the treatment. Immediately after the treatment, your Coolsculpting® specialist applies a2-minute massage to the area which many people find uncomfortable. After that, you are free to get on with your day! If we can squeeze it, we can freeze it! Coolsculpting® is ideal for stubborn fat areas that you have never been able to shift. It is not, however, a weight loss treatment or a treatment for obesity. 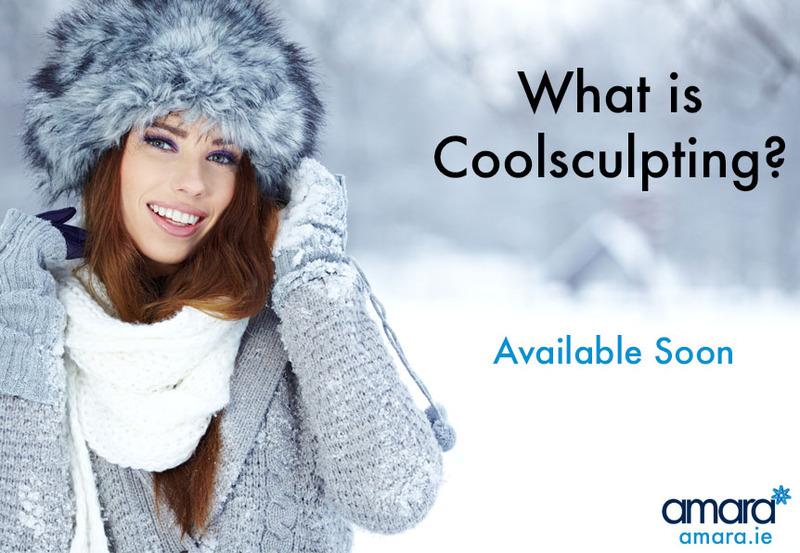 Coolsculpting® will leave you looking more sleek and sculpted. At your consultation with your doctor and Coolsculpting® specialist, they will advise you if this is the treatment for you! Coolsculpting® consultations will be available in Amara in February 2018, for now, check out these videos for more information!